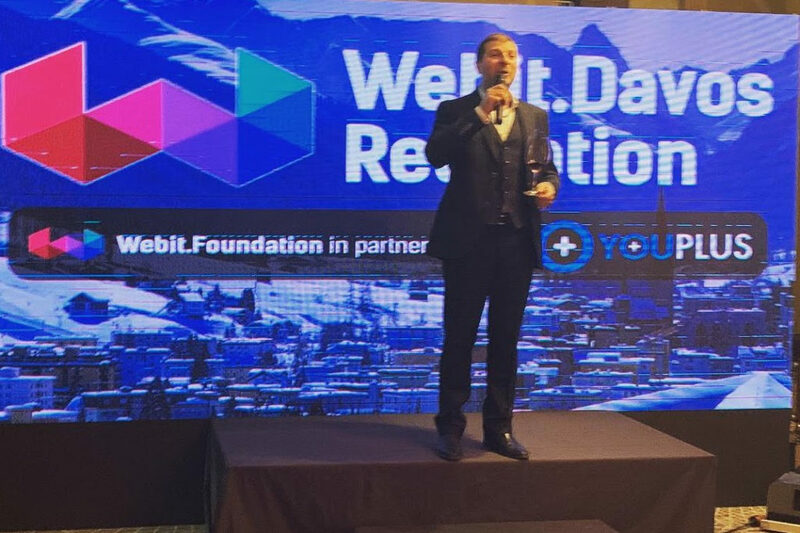 This is the message that Webit’s Executive Chairman and Goodwill Ambassador for Bulgaria’s Digital Affairs – Plamen Russev sent to the world from Davos and shared upon his landing at Sofia Airport. He shared his impressions from the past week at the World Economic Forum in Davos. 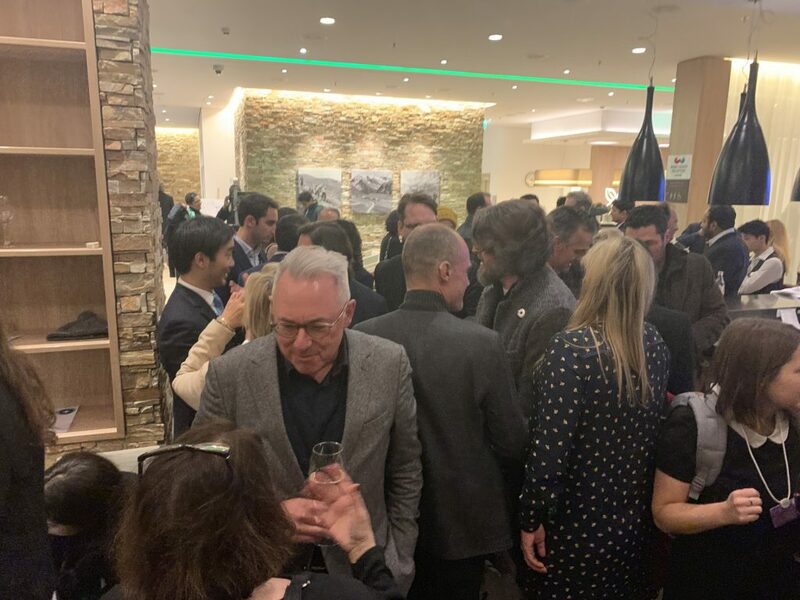 This year Dr. Russev hosted a special forum and reception – Webit.Davos 2019. 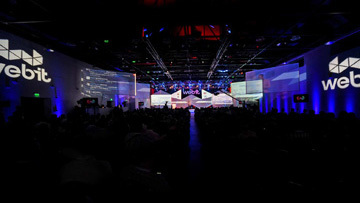 More than 300 guests from the world elite accepted Dr. Russev’s personal invitation, including Apple’s CEO Tim Cook, the President of Harvard University – Larry Beikou, presidents and CEOs of Fortune 500 companies, and many other government and NGOs representatives, as well as media, among which CNN, Forbes, and others. Such elite of global leaders are seldom brought together. The forum took place in the area with the highest level of security at the Davos Forum in Hilton Garden. “There are dozens of events happening in Davos every minute, and the competition for the attention of the world leaders is extremely high. It was an exceptional honor for me that over 300 global leaders were with us and respected us with their presence. 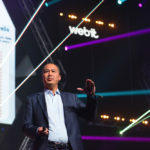 This is also a signal to others about Webit’s influence and next year we expect even more interest.“ – said Webit’s Executive Chairman Plamen Russev. The development of artificial intelligence, the future of work and blockchain technologies were among the main topics of the event. As a Goodwill Ambassador for the Digital Affairs of the Republic of Bulgaria, Dr. Russev introduced his high-profile guests to the exceptional opportunities Bulgaria provides as a hub for new technologies. Webit affirmed Sofia as a digital capital in the global media and continues to promote the city and Bulgaria as a place for innovation and opportunities for opening development centers and creation of new high tech jobs. “Mercedes Benz creates its entire platform for autonomous cars based on artificial intelligence in Sofia. 1300 Bulgarians will write such a platform, again based on artificial intelligence, for another world giant – Bosch. After attending two consecutive editions of Webit.Festival, the creator of the world’s most used database – MySQL, chose to invest in a local company that is working on his new, extraordinary project … I can give dozens of other examples. Bulgaria is becoming a local technology superpower and that is completely in unison with the long-standing efforts of Webit and our partners to improve people’s lives by developing entrepreneurship and increasing the influence of women in business and politics. 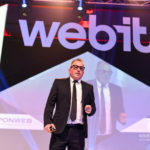 For the last 11 years, Webit builds and affirms the image of our country through our global community of over 800 000 people, who receive Webit news and are part of our global family. ” Dr. Russev continued. Plamen Russev has also hinted at another big update, which is to be officially announced soon. From his words, 26 European cities are currently bidding to host Webit.Festival 2020. 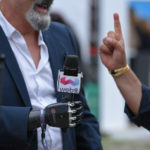 Which are the cities, what are their proposals to Webit, and whether Sofia will remain on Webit’s world map, are questions yet to be answered. Webit.Festival Europe 2019 Official Trailer!